Here are twenty interactive maps of the majority of Arab countries stretching from the Middle East to the North West African continent. 1- Click on the names of major cities to hear the proper Arabic pronunciation. 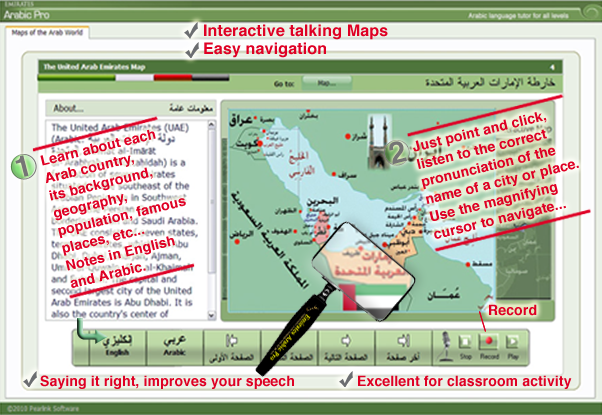 3- Click on the Arabic or the English button to read some basic information of a selected country. 4- Select a country to study its map from the pull-down menu button. 5- Click on the country flag to listen to its National anthem.